In any ward or district of Rome we find markets and flea markets to find low-priced items and antiques. 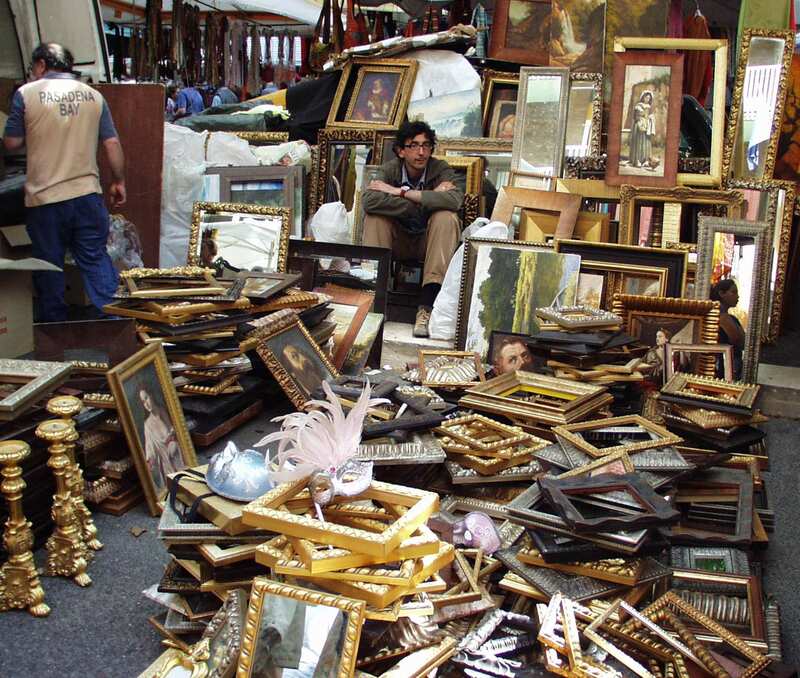 The most important is Portaportese, which operates only on Sundays from 7 to 14:00, is one of the largest flea markets in Europe and you can find all kinds of goods from antiques, animals, second-hand clothes, of original artwork, jewelry, posters, furniture, food, etc. Porta Portese is located in Via Ostiense – Trastevere. - On the Via Ostiense there is a “market Eco-Solidarity”, which sells clothing and antiques used. - Market Antique prints to “Largo della Fontanella Borghese”, open every day except Sunday. Old books, magazines, engravings and prints. - The market of Via Sannio is located near the station of San Giovanni, on line A of Rome’s metro. It mainly sells clothes and accessories. The center of the market is covered, with stand for the surrounding streets. And ‘open weekdays during the morning. The market of Testaccio contains fruit and vegetables, butcher, fishmonger and sellers of cheese, ham, salami produced locally. It is open every day except Sunday.